Every summer, tens of thousands of Mormons, stream into the small town of Palmyra, New York to see the Hill Cumorah Pageant. 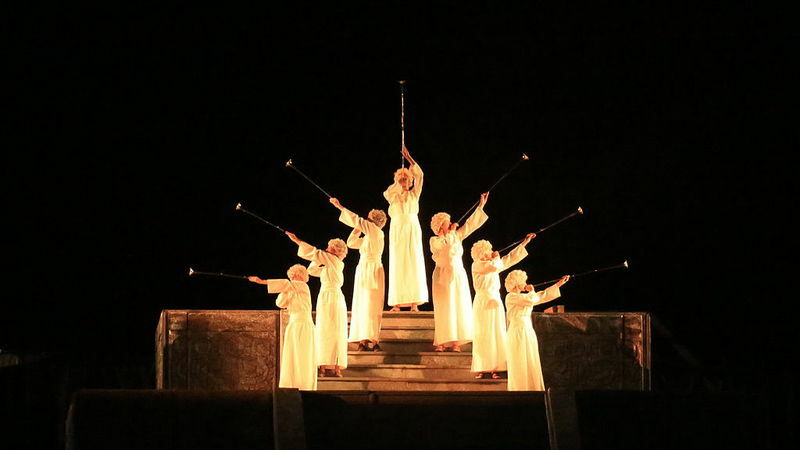 The pageant features a cast of over 650 performers who dramatize the story of ancient American prophets, as told in the Book of Mormon, which Mormons believe is a sacred scripture. The crowds of Mormons that swarm Palmyra every summer come for more than just the theatrics of the pageant—they also come to see the place where their religion came into being. 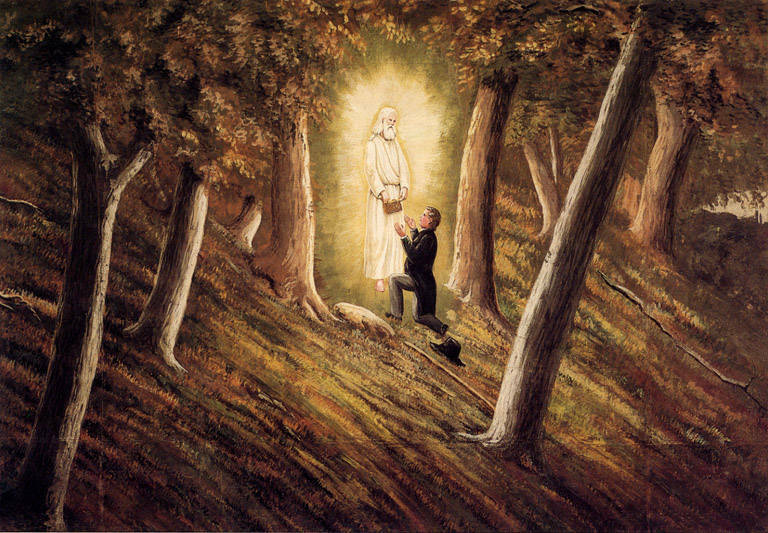 When he was seventeen, Joseph Smith Jr., the founder of Mormonism, had a vision of an angel named Moroni who told him about an ancient text written on golden plates that detailed the history of prophets living in the Americas. 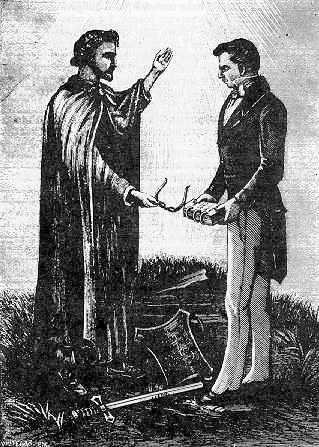 Moroni told Smith that the golden plates were buried on a hill three miles from Smith’s home, along with a breastplate and two seer stones called the Urim and Thummim, which would help Smith translate the ancient language inscribed on the plates. 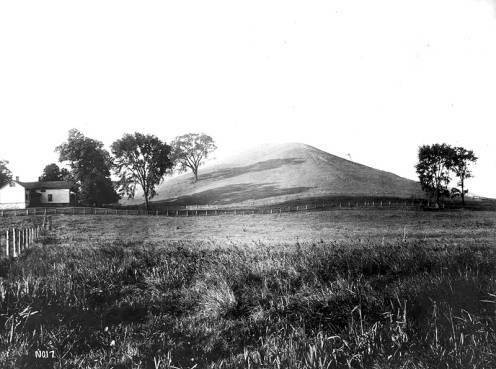 This hill later became known as Hill Cumorah, after a location in the Book of Mormon. The next day, September 22, 1823 Smith went to the hill to see the plates, but Moroni did not actually allow him to take the plates with him. Every year on September 22, Smith made a journey back to the hill to receive God’s instructions about what to do next. Finally, four years later, Moroni allowed Smith to dig up the golden plates and take them with him to translate. After a lengthy and complicated translation process, Smith published their contents as the Book of Mormon and then reburied the plates where he had found them. Because of this history, Hill Cumorah in an American Sianai—the place where a prophet received the word of God in physical form. But Hill Cumorah is also an American Mecca—a place where tens of thousands of Mormons visit every year to make a pilgrimage to the site where they believe that holy events occurred. 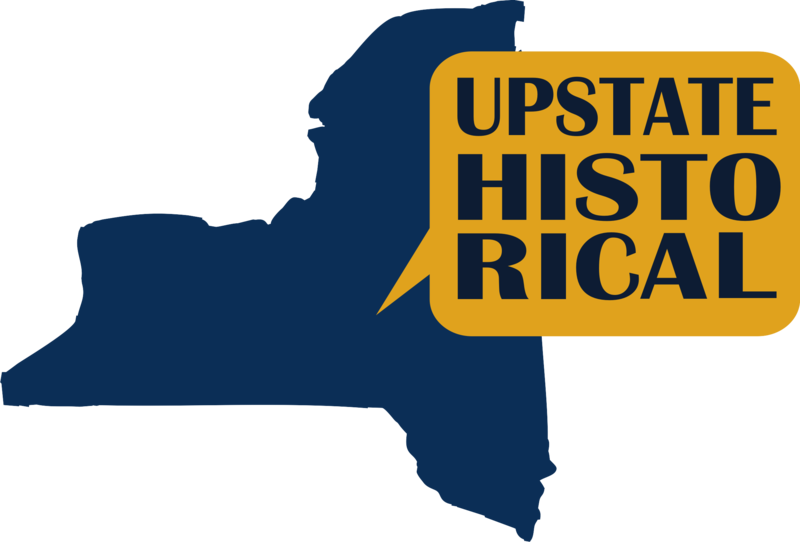 Aliza Alperin-Sheriff, “Hill Cumorah,” UpstateHistorical, accessed April 18, 2019, http://upstatehistorical.org/items/show/49. Gutjahr, Paul C. The Book of Mormon: A Biography. Princeton: Princeton University Press, 2012. Hill Cumorah. 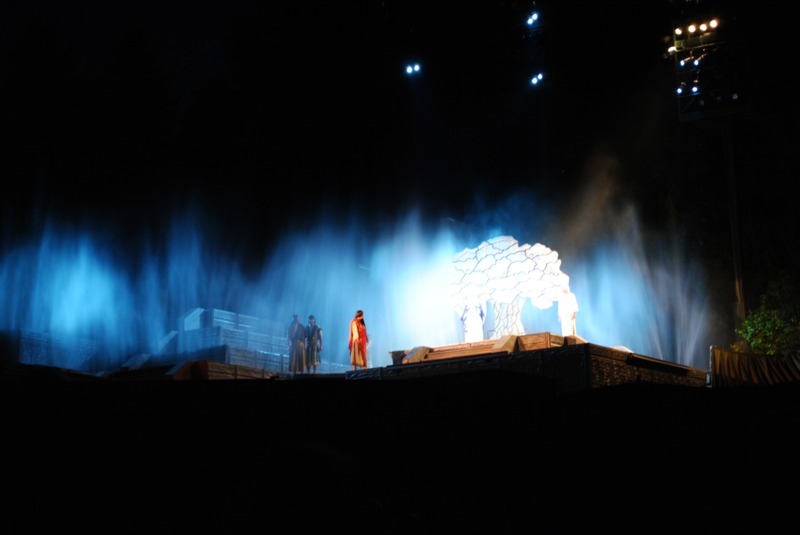 “Hill Cumorah Pageant.” http://hillcumorah.org/hill-cumorah-pageant/.